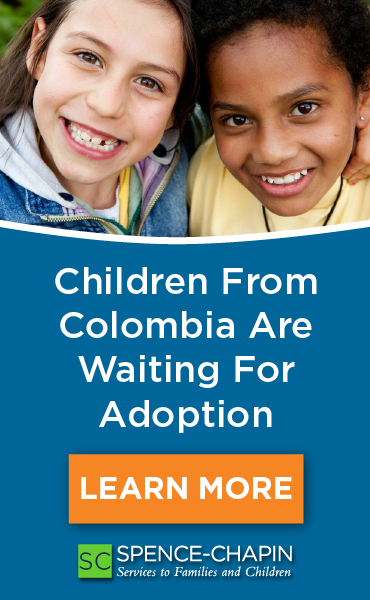 There are many children waiting to be adopted into permanent, loving homes globally. The following graphic has been submitted by the child-placing agency Children's Home Society of Minnesota. 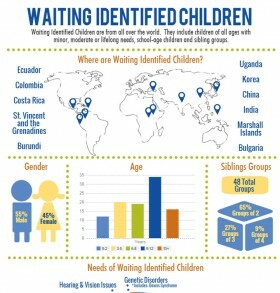 Children in the Children’s Home and LSS Waiting Identified Children program may be older children, siblings, children with histories of abuse and neglect, and children with medical conditions and special needs. 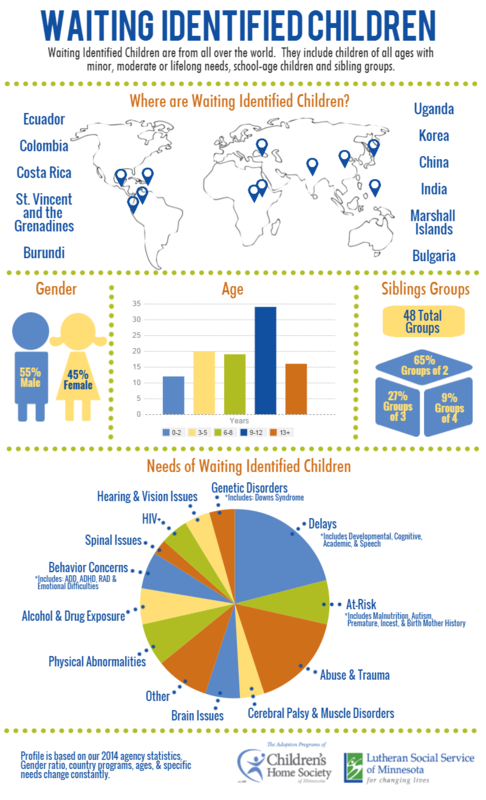 While the infographic below is based off of their agency statistics for international adoption, it provides a glimpse at the needs of many children around the world.